Whether you're planning a romantic getaway with your significant other or an exciting vacation for your entire family, Daytona Beach is a destination that you're sure to love. This lively Florida coastal town is known for its expansive beaches and its world-famous racetrack, and the abundance of things to do and see in Daytona Beach means that you'll never be bored. So when you start planning your trip to Daytona Beach, consider working with Vacatia to find the perfect vacation rental for your stay in this beloved Florida destination. 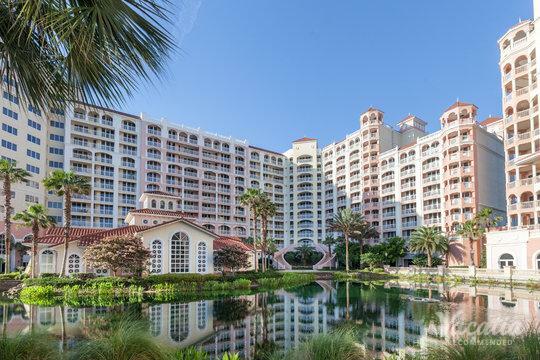 Vacatia can help you sift through the selection of Daytona Beach four-star resorts until you find a vacation rental that meets all of your needs. There are a number of Daytona Beach 4-star resorts available, and Vacatia can help you narrow down this selection so that you can book your stay at the best vacation rental possible. If you want to indulge in luxury at one of the best 4 star condos Daytona Beach has to offer, allow Vacatia to help you book your accommodations in Daytona Beach. When you work with Vacatia to plan your vacations, you can rest assured that your accommodations will exceed your expectations. Daytona Beach is a hotspot for auto-racing enthusiasts and beach lovers alike. Whether you're just craving some sunshine and some fresh ocean air or you're heading to Daytona to experience the thrill of an auto-racing event, Vacatia can help take your vacation to the next level by providing you with a quality vacation rental. Instead of staying at one of the many four-star hotels Daytona Beach, you can work with Vacatia to book your stay at one of the top-rated four-star resorts in the area. When you book your accommodations through Vacatia, you will be staying in a vacation rental that is more comfortable and more spacious than a standard hotel. Vacatia's unique properties feature extra living spaces, such as a fully equipped kitchen, in addition to the desired services and amenities of a resort. So when you stay at one of Vacatia's four-star resorts in Daytona Beach, you will have access to the amenities of a four-star resort as well as the space and comfort of a home. These added comforts will make you feel as if you're living in Daytona Beach rather than just visiting this beautiful Florida coastal town. Considered one of Florida's most popular beachside destinations, this lively coastal town is home to terrific beaches, a lively boardwalk, and a world-famous racetrack. Whether you're heading to Daytona Beach to experience the excitement of NASCAR or to indulge in the stunning Florida beaches, you are sure to have a one-of-a-kind experience in Daytona. No matter what Daytona Beach has in store for you, be sure to let Vacatia help plan your trip to this popular Florida destination so that you can stay in a luxurious four-star resort that will quickly become your beloved home away from home.